David Woodruff took home Case of the Year honors at last week’s Colorado Trial Lawyers Association Spring Dinner for a birth injury case stretching nearly five years. 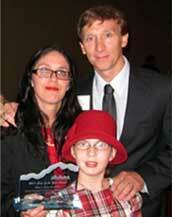 “We are fighters for those who can’t fight,” Woodruff told the crowd as he accepted the award. The partner at Hillyard Wallberg Kudla & Sloane in July helped obtain a $70 million arbitration award against the company which owned both the hospital the family of Abigael Blasco went to and the health maintenance organization covering the family. Nurses at the hospital, per instructions from the HMO, administered Blasco’s mother (Rebecca Blasco) an ulcer medication to induce labor despite warnings from the government and the manufacturer itself against this off-label use. 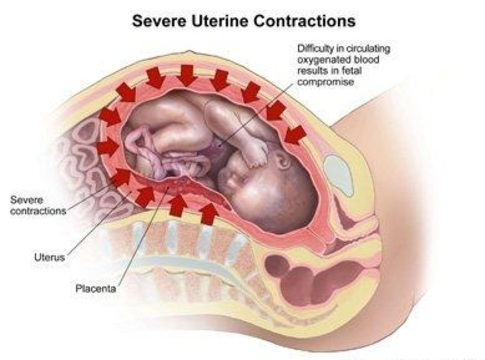 The medication, which cost more than $100 less than the approved labor-inducing medication, had been indicated in too-forceful contractions during labor, which compromises blood flow to the fetus. 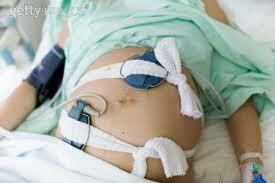 The company provided Woodruff with differing fetal heart tracing reports from the day of the delivery. Comparing the different versions, he was able to show that Abigael had suffered a lack of oxygen during labor, which led to developmental issues for the 12-year-old. Description: Case involved a baby born at an HMO hospital in Los Angeles, CA. Mother was given improper dose of misoprostil (Cytotec) and Pitocin, and suffered uterine hyperstimulation, causing fetal asphyxia and severe brain injury. Child is now 11 years old and has severe mental and physical disabilities. Case was tried to a judge/Arbitrator in Orange County, CA. Because the baby is sitting right there. “her husband’s team is playing in town and he (professional athlete) wants to be at the delivery”. College of Midwives of B.C. 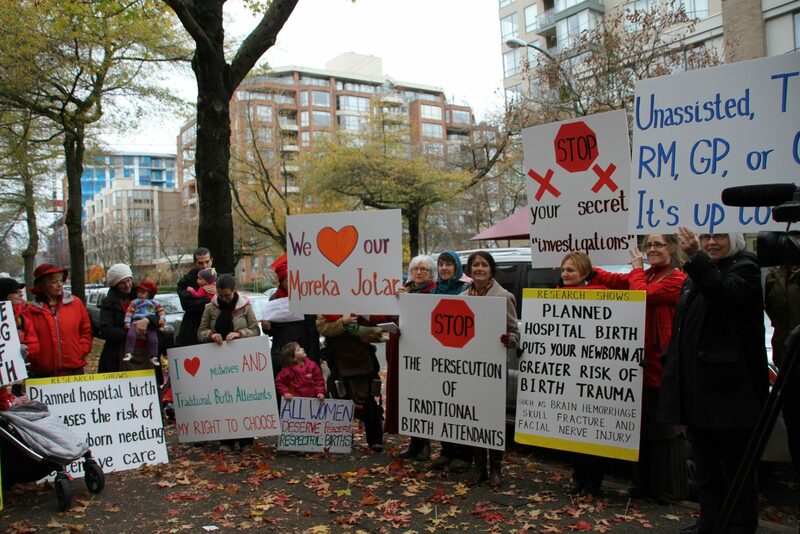 Parents, grandparents, children and birth rights activists picketed the College of Midwives offices on Nov. 28, 2012. The College of Midwives conducts secret investigations and flagging operations to undermine the alternative birth workers in the province. By sending negative press releases and spreading half-truths and innuendo, they attempt to claim a monopoly on who shall attend births in the province. From the film “Freedom for Birth”: — “One of the home birth mothers supported by Ms Gereb (Agnes Gereb, Hungarian midwife) decided to take a stand. When pregnant with her second child, Anna Ternovsky took her country (Hungary) to the European Court of Human Rights and won a landmark case that has major implications for childbirth around the world. Toni Harman, one of the filmmakers says, “the “Ternovsky vs Hungary” ruling at the European Court of Human Rights in 2010 means that,. . . now in Europe, every birthing woman has the legal right to decide where and how she gives birth. . . The applicant complained about being denied the opportunity to give birth at home, arguing that midwives or other health professionals were effectively dissuaded by law from assisting her, because they risked being prosecuted. ADDED June 2017: A case involving a member of the College of Midwives of B.C. The annual $400,000 payments outlined in the settlement are rare, but a legal expert says if they become more common they could add an unpredictable liability to the B.C. government’s finances. The boy’s life expectancy could be anywhere from 12 to 30 years, according to the court ruling, meaning the final cost to the provincial government could be well over $10-million. In addition to ultimately being responsible for the health authority, the province also sponsors the Midwives Protection Program, an insurance plan unique to B.C. across the country. The Midwives Association of B.C. says the cost of malpractice insurance was halved in 2007 by the Ministry of Health “due to the excellent record that midwives currently hold in relation to large claims,” and reduced again in 2014. Mr. McGivern, who was not involved in the Corrin family’s lawsuit, has worked on many cases that have involved $3-million claims or more. “Part of it is that the cost of care is going up. Part of it is that counsel are presenting much more sophisticated analysis of the cost of care – the evidence is getting better as to how much things cost,” he said. “It is very difficult to predict what your ongoing financial obligations are going to be,” he said. “Any of these cases when they occur are tragedies for the child as well as the family,” she said. The College of Midwives of British Columbia is demanding a group of “death midwives” stop using the term “midwife” when referring to their services. 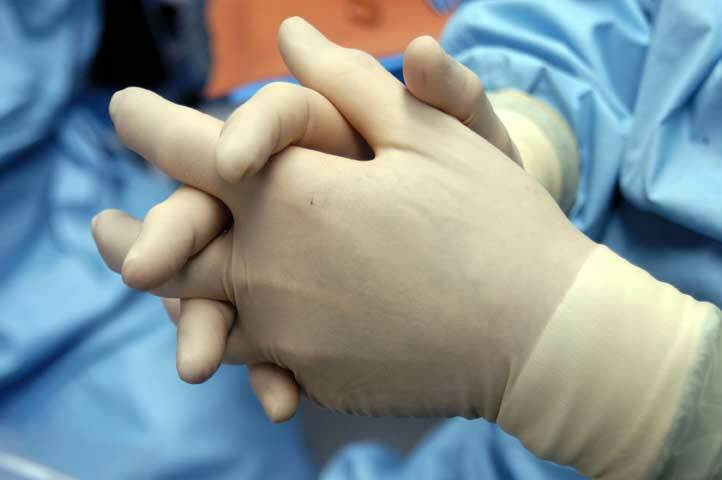 The Canadian Integrative Network for Death Education and Alternatives is an organization that represents and provides awareness about “death midwives” — people who help a dying person and their loved ones with alternative funeral arrangements, often at home. CINDEA’s webpage says they use the term “midwife” to “honour and parallel the role of a birth midwife,” but College of Midwives registrar and executive director Louise Aerts says the term is reserved under the Health Professions Act and CINDEA’s use is breaking the law. “There can be a misperception from the public when a title is being used inappropriately,” she said. Even though death midwives have the “death” modifier before their title, Aerts says the potential is there for confusion. “The public could conceive that they have the same level of training, the same level of oversight of their practice as do registrants of the college,” she said. Aerts says she hadn’t heard of CINDEA until the CBC profiled the work of founder Pashta MaryMoon for a radio series. MaryMoon says the term “death midwife” has been used for over a decade by people like herself, and she isn’t sure why it has become an issue now. MaryMoon questions whether the College has the legal standing to stop death midwives from using the title, but admits CINDEA has no legal representation. She also says CINDEA’s use of the title is not about claiming the legitimacy of midwifery. “What we’re doing is reclaiming the ancient word and the ancient practice. It has nothing to do with being equally credible as birth midwives,” she said. MaryMoon said on Tuesday she wasn’t sure what CINDEA’s next steps would be besides consulting other group members and similar practitioners in the United States.